My beloved cousin always participates in this one, and I really liked the questions today, so here goes! 1. Aloha! On August 21, 1959 Hawaii officially became a US State…have you ever been? Upon arrival would you prefer an orchid or a hibiscus to tuck behind your ear? I have been to Hawaii, a few times. Upon arrival, I’d prefer a lei, quickly followed by some spam musubi, thanks! But if I had to choose between the two flowers mentioned, it would be a hibiscus. 2. Since we’re talking tropical…what’s your favorite food or beverage made with pineapple? Unlike my cousin(s), I’m not allergic to pineapple, and I LOVE that fruit! Since, in Hawaii, it’s especially fresh, I would just love some plain. Not in Hawaii, I adore pineapple upside down cake, pineapple juice and rum, grilled pineapple and pineapple yogurt. YUM! In fact, I have some pineapple yogurt in the fridge at work and I think I’ll have a snack right now. 3. Do you believe in soul mates? Explain. Oh, what I believe is complicated, so just let me say this: I believe that souls are reincarnated and if they enjoyed the company of another soul in a previous life, they strive to find that soul again. To that end, I believe like my cousin, that soul mates aren’t limited to a romantic partner. 4. Share a memory about the house you grew up in. 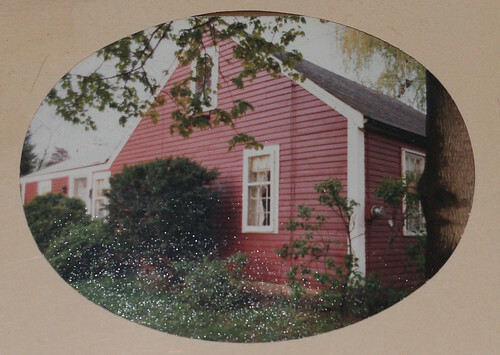 The house I grew up in was built in 1863, and it had some unique features such as a dirt basement, ceilings that were of varying heights and very small rooms. Somehow, my parents were able to fit a baby grand piano in the living room. I’m sure it took up much of that room LOL! My job on Saturdays was to dust that piano, which I did lovingly. In fact, it was probably the only household job I liked. It was fun to hide under it, and to study the insides. Playing it was fun, lessons were not. 5. Are you comfortable with silence? Absolutely. I love silence, need it from time to time. It gives me a chance to recharge my batteries, so to speak. I enjoy a comfortable silence between friends and loved ones…it makes me happy to know that talk is not necessary at all times in order to be at ease with one another. 6. You spot a giant spider on your bedroom wall…what’s your next move? (all spiders are giant, right?) First, I SCREAM! Then I hope to GOD someone is home to come kill or remove it. If not, I hyperventilate for a bit, always glancing to make sure it’s STILL THERE. I work up my courage, find a shoe, FLING it at the spider and scream and run. Then I come back to look for the blot on the wall. If I don’t find the blot, then I just leave. Not forever, just til someone else comes home, dontchaknow. 7. My idea of fun does NOT include _____________. Freaking drama. It upsets my soul. Blech! But I used to seem to attract it, although not so much anymore (knock on wood). 8. Insert your own random thought here. I wonder what Dave will make for supper tonight? What would YOU want? 1) Once, before I met my husband. Hibiscus, please! 2) I’m with you on this one! Can we have pina coladas, too? It’s funny how much alike we are, and in so many ways different. Yes, my sweet, you are definitely a soul mate of mine! I love the house you grew up in. It sounds wonderful. I am a sucker for the old charm. Glad you did the Wednesday Hodgepodge and I was able to visit you. I have a blog friend who lives in Hawaii. As I think she’s a soul mate of mine (I love your answer to that question btw), I would love to go there to visit. We have quite a few hibiscus in San Diego and every time I’ve tucked one behind my ear I’ve ended up with an ant crawling on my scalp. I like your soul mate idea. I’m wondering what I’ll make for dinner tonight. Let me know if you have any great ideas. Interesting questions and very very interesting answers, my dear….I’m with you on a Lei…but I think if not that, then, like you, a Hibiscus. Pineapple destroys my mouth—it’s the enzymes…And it’s too bad because I used to LOVE Pineapple…But as the years have gone on, I can no longer eat it, at all! Not to found of Spiders, either…! This was fun! And serious, too! I love your home in red! I always enjoy reading what you’re up to… I am finally catching up on some blog reading! I couldn’t leave a comment on the post just previous to this, but I have wanted to say for some time how adorable Ralphy is and how fun it is to see you and Dave get to spend time with him. Sweet!